Bathtime. Your toddler either loves it or they hate it. And sometimes they like to shake things up and change how they feel about it! With four kids I've had lots of practice! It took some trial and error but I finally figured out what works for those adorably frustrating toddlers. 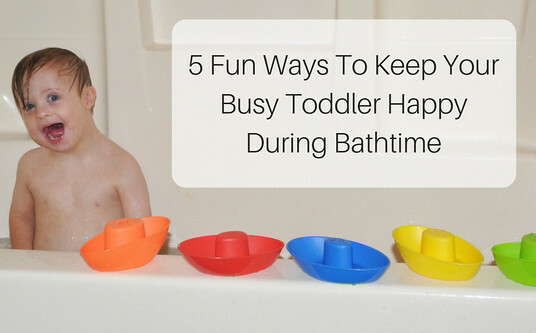 I'm always armed with an arsenal of supplies and tactics to keep even the busiest of toddlers happy in the tub so I can get the job done as quickly as possible! Add some color to the water! You can buy color tabs but a few drops of food coloring in the water works well, too. 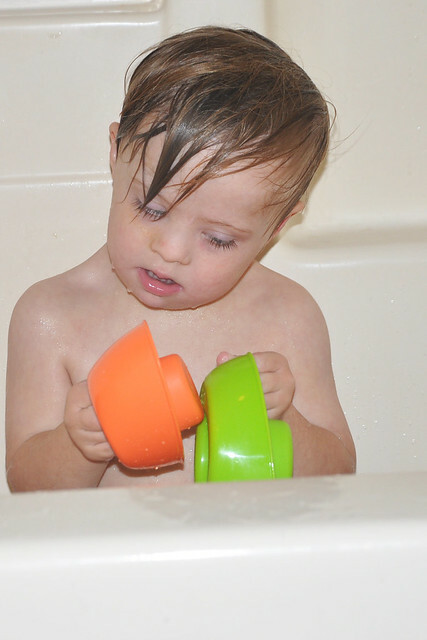 Toddlers are intrigued by watching the bath water turn different colors. Plus you can sneak in a science lesson by adding two colors to the water and having your toddler mix them together to see how the colors combine and make a different color. There's just something so exciting about taking a bath in dyed water! Foam things up! Buy can of shaving cream from the dollar store and spray the foam all over the bathtub walls. Have your toddler draw pictures in the foam with a paint brush then wipe it all off when they are done. Mix in lots of bubbles! 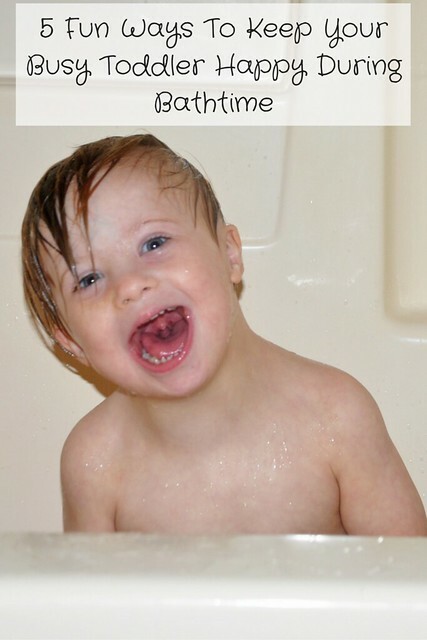 The more bubbles in the tub the happier your toddler will be. If that still doesn't work give them a bottle of bubbles and let them blow them in the bathtub! 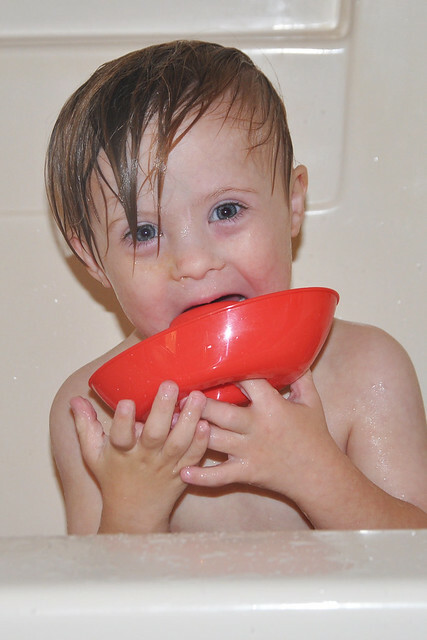 Paint in the tub! You can search Pinterest to find a recipe to make your own bathtub paints but I found that an under $1 palette of washable watercolors and a paintbrush is an excellent option. They can paint their masterpiece(s) all over the bathtub and it rinses right off when they're done! 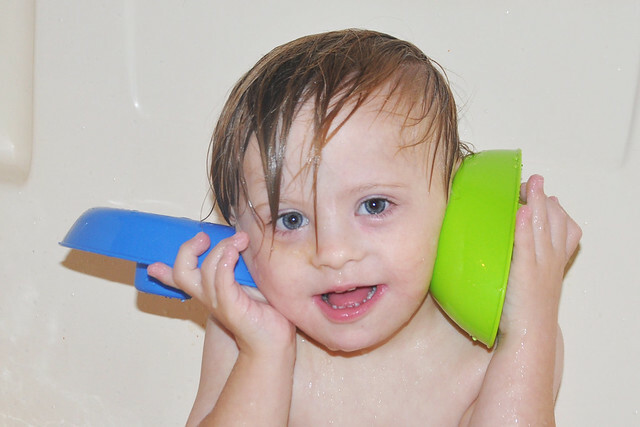 Stock up on fun, multi-purpose bath toys! If there are different ways to play with the toy it will keep your toddler's attention much longer. 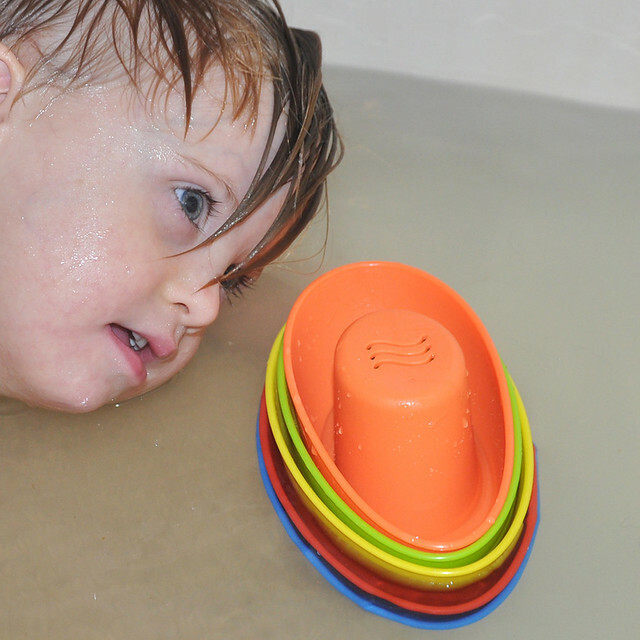 The Stacking Bath Boats from Nuby are Liam's current favorite bath toy! My transportation-obsessed boy thinks that these five colorful boats are so much fun! He loves floating them in the water and pushing them around. While Liam plays in the tub I get to sneak in a few minutes of learning without him even realizing it! I ask him to hand me each boat by the requested color. After we go through each color he has a fun lineup of boats! Liam also loves how he can fill the boats up with water and dump them out. The boats can also be turned upside down and filled with water. The shaped holes at the bottom when they are upside down create a really neat waterfall effect and each boat is different! 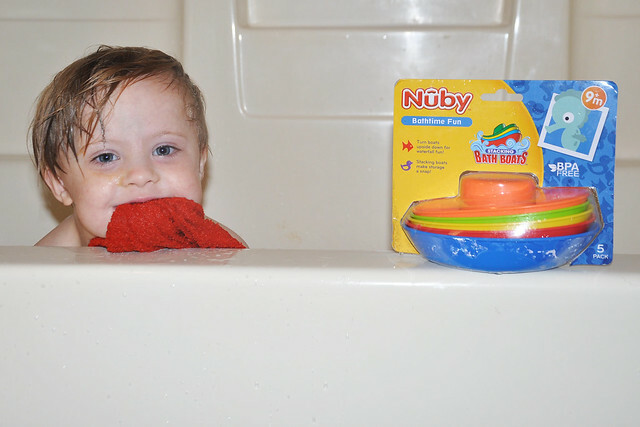 As a mom I appreciate the fact that the Nuby Stacking Bath Boats are BPA FREE! Those toys still occasionally go in Liam's mouth and I'm happy to know that he will be safe while he plays. Another perk is the fact that these boats can be stacked together. Liam loves nesting them together then taking them back apart over and over again. And when he's done, we stack them together and slip them onto a shelf in the bathroom closet for easy storage! 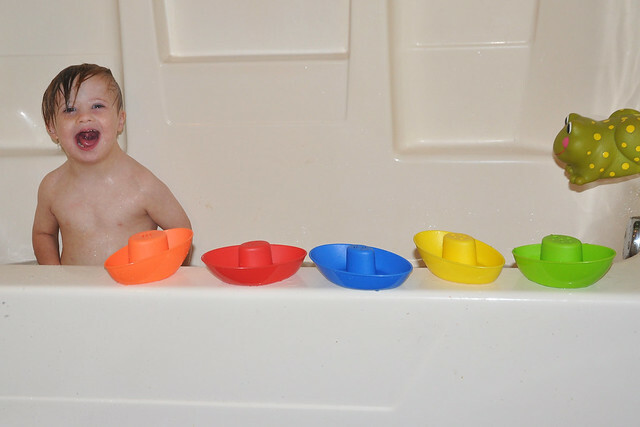 The Nuby Stacking Bath Boats were an instant hit in our house and Liam plays with them every time he takes a bath! Just FYI these boats are GREAT for water table play, too! 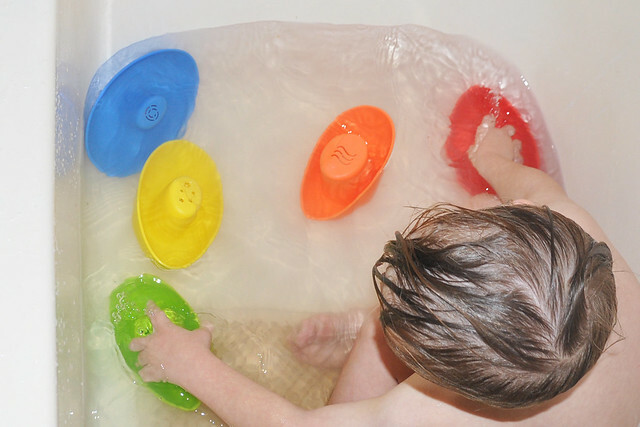 The Stacking Bath Boats from Nuby are ideal for kids 9 months and older. Priced at well under $10 these bath toys are a steal! They can be purchased on Amazon. DISCLOSURE: As a Nuby Parent Blogger I received this product for review but all opinions are 100% my own. So much fun. My girls would've loved these... and honestly they probably still would :P.
Oh my goodness what a fun idea!! We don't have kids yet, but when we do we will definitely need this!! Great tips! We also have those boats and love them! He's too cute! Currently my son loves the bath, but you are so right when you say that they change their minds quickly. He was screaming when it was bathtime the other day (he had never done that before). But once I have him a toy he could fill with water and then dump out, he had so much fun. I'll have to check these out! Oh how fun! He looks like he's having a great time. So cute! first off, Liam is sooo stinkin cute! second, loooove those boats, so colorful and fun! thanks for sharing!